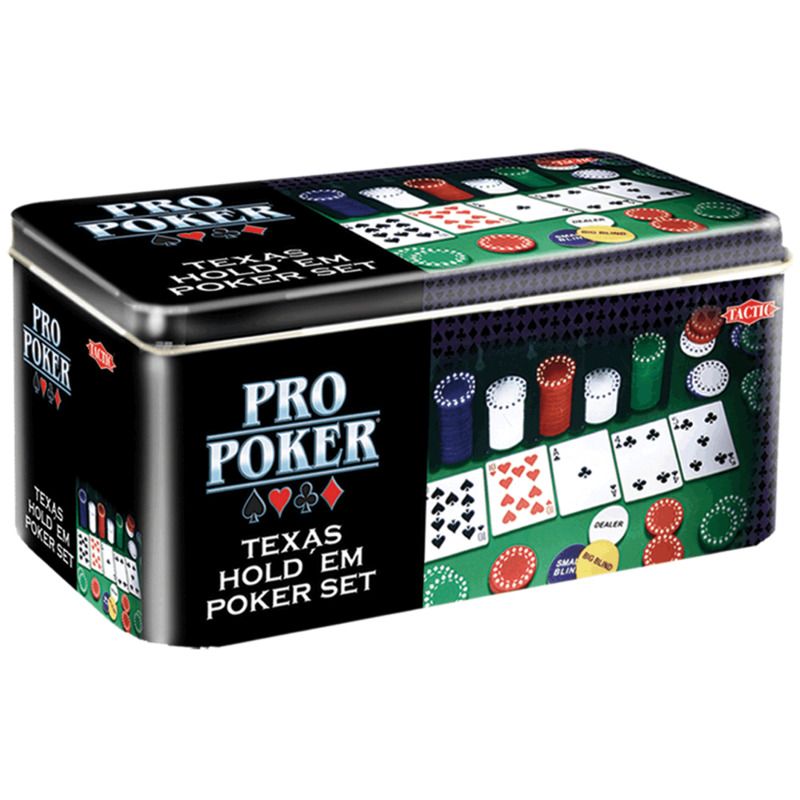 Everything you need to play Texas Hold'em Poker Set in a box, great fun for family, friends and for poker enthusiast. Contents: 60 x 90 cm poker playing surface, 200 social player quality poker chips, 1 dealer button, 1 big blind button, 1 small blind button, 2 decks of casino quality playing cards, poker chip rack and instruction booklet. Suitable for age 15+ and 2 or more players.